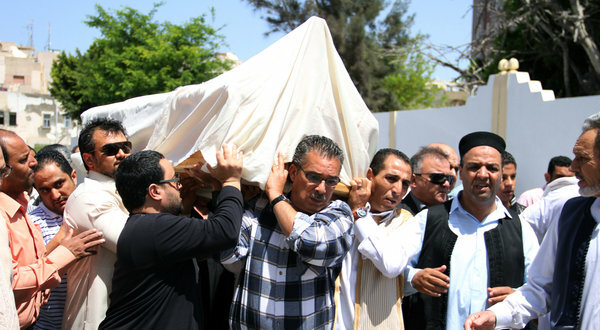 The funeral in Tripoli of Shukri Ghanem, a former Libyan oil minister found dead in Vienna. TRIPOLI, Libya — Soon after the revolt against Col. Muammar el-Qaddafi began in Libya last year, foreign banks and governments began freezing billions of dollars in assets held by his family and government, just as they had frozen accounts of the toppled governments in Tunisia and Egypt. Zine el-Abidine Ben Ali, the former Tunisian dictator. But the dictators and their inner circles had spent decades amassing and hiding vast fortunes, and much of the wealth was not easy to find. Libyan investigators say they have identified tens of billions of dollars in Swiss banks alone that was never frozen — all of it skimmed from Libya’s vast oil wealth and disguised under innocuous names. In Tunisia and Egypt, the new governments are pursuing foreign real estate, yachts and bank accounts that are also said to be worth billions. Investigators in all three countries say they now face formidable obstacles in tracing and recovering the money. In Libya, stolen oil proceeds were often laundered through complex foreign partnerships that gave them a whiff of legitimacy. In Egypt and Tunisia, the new governments are trying to recover the assets of the ruling families and of their allies in business and industry, which they say were gained through cronyism and corruption, if not outright theft. Proving that those insider fortunes were gained illicitly can be extremely hard, especially when foreign legal systems are involved. In some cases, the people who know where the money is held are at risk — not only because they are viewed as criminals in their home countries, but also because they hold secrets to questionable or corrupt deals that implicate companies and governments in the Arab world and the West. Shukri Ghanem, a former Libyan oil minister who fled the country last year, was found dead under mysterious circumstances in the Danube River in Vienna on April 29. Days earlier, he offered to tell Libyan officials everything he knew about a range of suspect oil deals in exchange for immunity from prosecution, according to two men who spoke with him. Another Qaddafi confidant, Bashir Saleh Bashir — the only man who knows the whereabouts of $7 billion in Colonel Qaddafi’s African investments, Libyan officials say — was captured by rebels last year and then apparently allowed to escape, later turning up in France. Libyan officials say they believe Mr. Bashir also has information about an illicit deal between Colonel Qaddafi and Nicolas Sarkozy, the former French president (Mr. Sarkozy has long denied that he received any money from the colonel). Mr. Bashir’s current whereabouts is unknown. So far, almost none of the “shadow assets” have been returned. In March, the Libyan authorities gained ownership of a $15 million house in north London that belonged to Saadi el-Qaddafi, one of the former dictator’s sons. 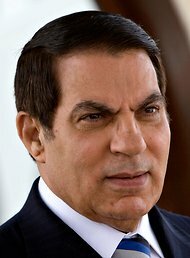 Two aircraft in France and Switzerland belonging to the former Tunisian dictator Zine el-Abidine Ben Ali, worth a total of $30 million, were transferred to the country’s new government last year. And the state assets frozen last year are gradually being made available. The rest of the money is hard to find, often hidden behind multiple fronts that zigzag between half a dozen countries, according to several investigators and lawyers who have worked on recovering it. In theory, much of it could still be cashed in by the shadowy intermediaries who deposited it. Once identified and frozen, it can still be defended by lawyers for the former ruling families. Lawyers hired by the Ben Ali clan have fought efforts to repatriate about $70 million held in Swiss bank accounts at every step, according to Enrico Monfrini, a Swiss lawyer working on behalf of the new Tunisian authorities. 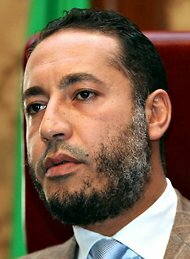 Saadi el-Qaddafi, who is now in Niger, expressed an interest in defending his ownership of the London house but was unable to do so in the time available, said Nick Kaufman, an Israeli lawyer and former International Criminal Court prosecutor who has been retained by Mr. Qaddafi and his sister Aisha. Even with money that has been located and frozen, delays in the recovery process have led to tensions between the new governments and Western countries. In March, the Illicit Gains Authority of the Egyptian government filed suit against the British Treasury to try to force it to provide information needed to help repatriate about $135 million in bank accounts belonging to 19 people in the inner circle of former President Hosni Mubarak. British officials say they are bound by British law, which requires the Egyptians to provide them with criminal convictions first. Switzerland is still blocking about $450 million in Mubarak family bank accounts pending resolution of the Egyptian government’s claims. With money held by figures close to the former Egyptian government, recovery is likely to be harder. Hussein Salem, an Egyptian magnate who was close to Mr. Mubarak and is said to be worth billions, fled to Spain last year. He has maintained that he earned his fortune honestly. This month Spain’s Supreme Court upheld a decision to extradite him to Egypt to face corruption charges, but the Spanish government froze only $45 million of his assets, and it is not clear whether the rest will be returned. In Libya, there is much more money involved, much of it missing, said Mustafa Abushagur, a deputy prime minister in Libya’s transitional government. Of the $160 billion in Libyan state foreign assets listed by the country’s Central Bank just before the revolution, billions were never actually frozen because no one knew where the money was or because the governments in question simply refused to take action. A United Nations panel that was formed to identify these assets reported in March that some African governments declined to respond to the panel’s requests or provided false information. Only one man is believed to have full knowledge of Libya’s African assets, estimated at $7 billion: Mr. Bashir, the 66-year-old Qaddafi confidant who was captured last year and fled to France. Mr. Bashir ran the Libyan African Portfolio, a sovereign wealth fund that invested Libya’s oil wealth in hotels, banks, telecommunication shares and mining concessions spread across the continent. The fund was never audited or supervised, according to Abdelhamid el-Jadi, a Libyan banker who is advising the government on asset recovery. 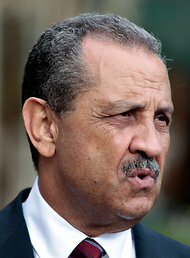 “Bashir is the one who knows everything about this money, and not only that, he still has access to it,” Mr. Jadi said. Libyan officials, who this month released a list of 338 people and entities linked to stolen assets, say it is important to recover the money soon because some African countries have begun to nationalize Libyan investments. Zambia, for instance, seized control in January of Zamtel, the country’s largest phone company, which is mostly owned by the Libyan African Portfolio. The case of Mr. Ghanem, the former oil minister who died in Vienna, remains a mystery. The Austrian authorities have said the cause of his death was not clear. He had been viewed as a relative reformer in Colonel Qaddafi’s government, and he once complained that the dictator’s sons were using Libya’s oil company as a “personal bank,” according to a leaked United States diplomatic cable from 2008. But he was close to the colonel’s son Seif al-Islam el-Qaddafi and deeply familiar with the Libyan government’s inner financial workings, according to the leaked cables and a number of officials here. “A lot of Shukri Ghanem’s partners who did corrupt deals with him wanted him to stay quiet,” said Mr. Jadi, the Libyan banker. Copyright 2012 The New York Times Company. Reprinted from The New York Times, International, of Friday, June 8, 2012.